Amazon API Gateway is a very powerful tool, particularly for small engineering teams. It is ideal for rapidly developing microservices when used in conjunction with the Serverless framework and AWS Lambda. It is also great when used as a conventional API gateway that provides authentication and routing over microservices. It would not be useful for exposing a monolithic application. Mashery is great when it comes to deployment to your own datacenter and when it comes to managing third party API's like Salesforce using Mashery Cloud version. I would be a little bit more careful when deploying it on Kubernetes as it was not designed for it. New version 5 is re-architected to run more on natively on Kubernetes, but we have not tested it yet. API Gateway integrates well with AWS Lambda. This allows us to build a web server in the language and framework of our choice, deploy it as a Lambda function, and expose it through API Gateway. API Gateway manages API keys. Building rate limiting and request quota features are not trivial (or interesting). API Gateway's pricing can be very attractive for services that are accessed infrequently. TIBCO Mashery is a very stable platform. We run on-premise version without any major outages for more than 1.5 years. Hybrid deployment model of Mashery is a big plus. Traffic can be routed through local gateways or through gateways hosted on Mashery cloud. Mashery allows combining multiple API into packages which can be consumed by different applications. Even multiple API's can be combined into the single package and consumed by single API credentials. Mashery organizational model is exceptional. It allows us to limit users to manage just their API's within suborganizations. It's great as multiple DevOps teams can independently manage API by themselves without talking to central API team and it keeps them in boundary of their suborganization. API Gateway introduces some concepts, such as Stages and Integration Requests, that are foreign to most developers. The documentation hints in the Console help, but sometimes these concepts are not transferred to frameworks like Serverless. Systems that use API Gateway may behave differently in end-to-end tests in local or CI environments. Navigating the Console can be confusing. It could be easier to codify API Gateway configurations. The API technology is advancing fast. 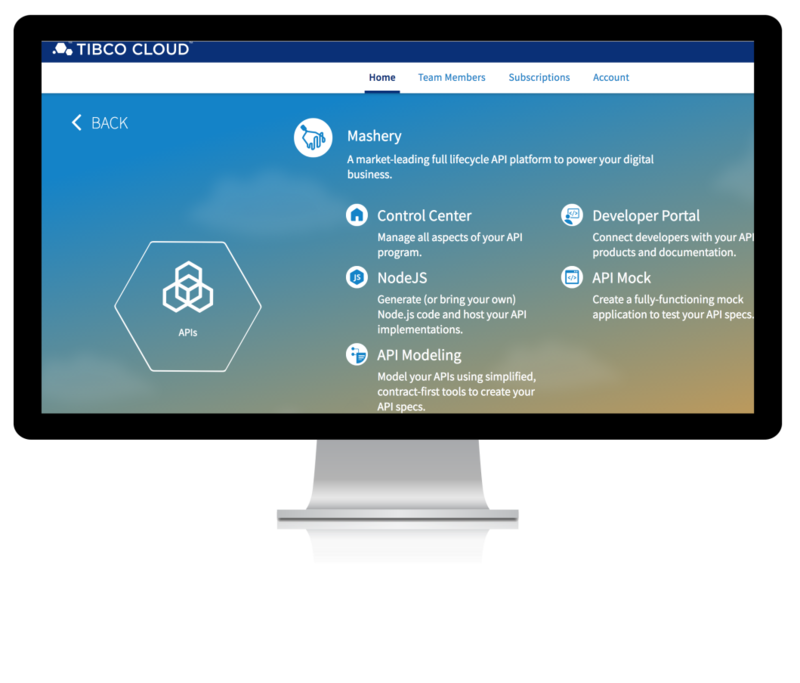 Capability enhancements for message-driven APIs are not yet available in TIBCO Cloud Mashery. While TIBCO Cloud Mashery features OAuth Token capabilities, integration with major OAuth and OpenID Providers is not straight forward. TIBCO has enhanced the features on managing the platform using TIBCO APIs. Still, not all features are provided as APIs and require manual configuration in management portal. Nginx is a powerful tool but configuring, running and maintaining but Nginx will never be a competitive advantage for our business. API Gateway is powerful because it is managed and does what we need out-of-the-box. Nginx is used more widely in the community; it may be easier to find developers with Nginx experience. Mashery was already installed when I took over the project. I have not worked extensively with other platforms. API Gateway has positively impacted our business by increasing the stability of our services. It is easy to implement rate limiting and horizontal scaling with API Gateway; this helps us to deliver highly-available services. API Gateway has increased our developer's productivity because they can delegate the management of web services to AWS. They can focus on features instead of Nginx configurations. API Gateway makes access control easy, which makes securing our services easier. As a API Mediation layer it has helped with the troublesome port setup with internal and external clients. Meaning it made that easy to the client that they know where to go for access to an API. The interactive documentation is very well put together and has reduced the time that developers have to go back and forth with each other to figure how to call the API.